As part of the curriculum, eighth graders delve into homelessness in Los Angeles. While they learn about the issues that face our local community, students discover ways they can use their own creative confidence to get involved and help. A disciple of the Bal Shem Tov yearned to meet Elijah, harbinger of redemption. The Bal Shem Tov instructed him to go to the home of a poor, pious family and bring them food for Rosh Hashanah, eat and pray with them, and Elijah would appear. His disciple followed directions, and Elijah did not appear. The message was clear: you have the power to bring redemption to others. You are the hope; do not wait for Elijah or anyone else to do it for you. As educators, we call this ability to “be Elijah,” Creative Confidence. A term coined by David Kelley from the Stanford d.School, it refers to the natural ability to have new ideas and the courage to try them out. We are all born creative, Kelley says, and if you spend a lot of time with preschoolers, you know this is true. They can make lemonade from sand, convince you that they are firemen and firewomen, or turn ordinary recycled materials into an elaborate castle. Over time though, Kelley says, socialization and formal education stifle our creativity, and with this, he claims, we lose so much of our power in the world. I recently attended a master class with David Kelley at IDEO, and learned from him how we can reclaim our creative confidence. When fully realized, creative confidence is self-efficacy, the belief that you can accomplish what you set out to do. In Jewish terms, creative confidence is the foundational belief necessary to fulfill our tradition’s moral imperative, tzedek, tdekek tirdof—justice, justice shall you pursue. I have been an educator for eighteen years, and it is more and more clear to me that the ability to be a transformative community relies on the unshakeable creative confidence of each member of that community. Creative confidence can be so hard to maintain in a world where the problems seem larger and more insurmountable than ever. This decade has been defined by challenges so vast and interconnected that they seem beyond resolution: poverty and illiteracy, famine and disease, nuclear warfare and genocide, global warming and drought, bigotry and fanaticism. It would be easy to throw our hands up in helplessness or point our fingers at political impotence, but our tradition directs us instead to take personal responsibility, to maintain creative confidence, the belief that you can accomplish what you set out to do, even if we cannot complete the work we start. According to David Kelley, creative confidence also engenders a sense of responsibility. If you believe you have the power to generate ideas and solutions that will make a difference, then embedded in that belief is your personal and ethical responsibility to act. 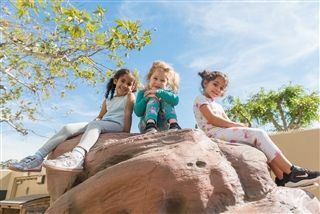 Here at Lainer School, children come to us when they can barely walk and talk, and they leave straddling the bittersweet fence between adolescence and adulthood. There is one major challenge that we and every Day School I know faces—affordability and sustainability. 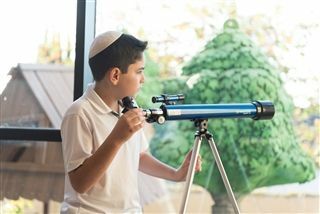 One-third of our students receive tuition assistance, and in a city where housing costs are astronomical and, combined with cumbersome student loans, even two accomplished, professional parents struggle with tuition costs, more and more Jewishly committed families are opting for public school. If you believe that the line between Day Schools and Jewish continuity is direct, this amounts to a communal crisis. Fortunately, the Lainer School Board had an unshakeable commitment to our core value tzedek, tzedek tirdof—justice, justice shall you pursue—and unanimously voted to set a goal of $40 million dollars in our endowment, the interest from which, at the time, would have fully funded our tuition assistance line. At the time of this decision, our endowment was at $11 million dollars. When we made the decision to approach Alice and Nahum Lainer about a transformative gift, we knew we were asking them to imagine a different, better, more secure future. But more importantly, we were asking them to believe that they had the power to help us achieve it. To us, of course, it was obvious. Nahum’s family has a long history of supporting Jewish education across denominational lines. Alice’s family struggled to make ends meet her whole childhood, and she has minimal Jewish education herself. She has told me many times that she wanted to give her children and grandchildren more than she had herself. From the time we asked Alice and Nahum, to the time that they said yes, we had seven conversations over the course of the year. From the moment we asked, they said they wanted to do it. I am convinced what closed the gap between their desire and their commitment was the development of their own creative confidence, the growth of their belief that if they made this gift, they would change the trajectory of generations of Jewish children, and therefore the Los Angeles Jewish community, and ultimately the world. A few months ago, I received a call from a prospective parent. He told me a devastating story of his wife who had a health issue in childbirth, leaving her with permanent, severe debilitating limitations and leaving him the primary caregiver of two children under two. He shared with me how much he needed Jewish community and how concerned he was about the affordability of tuition. I told him of our naming gift and our School’s commitment to accessibility and inclusivity. He cried on the phone, and I did too, reassuring him that though his circumstances were hard, he would find at Lainer School a community that would be alongside him and his children all the days of his and their lives. No, no, he said, you misunderstand, “I am crying because I am imagining my grandchildren at the Shabbat table. Now I know I will Judaism will continue in my family.” Alice and Nahum made that happen. They were the Elijahs, and the ripple effects will be felt throughout time. Creative confidence and the ethical responsibility that stems from it, does not always lead to such large-scale results. However, as I learned as a mother, the results of it can be as stunning, and in many ways poses equal power to startle our souls awake. Driving home from an epic grocery shop, my daughter Olivia, then six years old and a newly-minted reader, noticed a man standing on the grassy bank at the intersection of San Vicente and La Cienega holding up a tattered piece of cardboard asking for shelter. “Where does he sleep?” she asked Andrew, my husband. There was a pause, a slow silence, and the question hung in the air, heavy with hope. For a single moment, the creative confidence transferred from daughter to father, that it really was that simple, that we could just build a single shelter for a single man. “It’s true,” he said, “why can’t we?” And in that moment, a whole world was reimagined, a whole world saved. In the end, though, we did not build the shelter. We convinced Olivia to bring dinner instead. She packed it with her sisters— challah sandwiches with extra jelly and no crust, goldfish because everyone likes them, a perfectly-ripe banana, crunchy carrots, a yogurt drink, six napkins, an icy water, and a handwritten note with rainbow stickers. And off they went into the night to find the man who needed shelter but would get dinner instead. I drive by that church twice a day. Each time I think about David who isn’t there, who isn’t sleeping safely inside this church or any other, who isn’t sleeping in the shelter we never built and who doesn’t live in Olivia’s world but the real one that isn’t always kind, in an America that isn’t his and maybe never was, but it could be if we have the creative confidence to make it so. At six years old, Livi’s creative confidence and sense of justice did not radically alter David’s circumstance, but it did change her and our family forever. To this day, two years later, my kids do not like to waste food, and often reference David and others who need food in our city. They often recall how they brought dinner and how they were able to make his life a little bit better. We want all of our students at Lainer School to know they are powerful, that their ideas can make a difference. It is my role as a mother and my goal as an educator to help all of the students in our school hold onto their creative confidence so that they walk through the world always focused on what they can do to make it better. We want them to know that they can and must be the Elijahs for others, that they can and must relentlessly pursue justice during all the days of their lives.